Jeep calls it “the ultimate test in straight-line speed,” to show off the Jeep Grand Cherokee Trackhawk’s peerless acceleration. 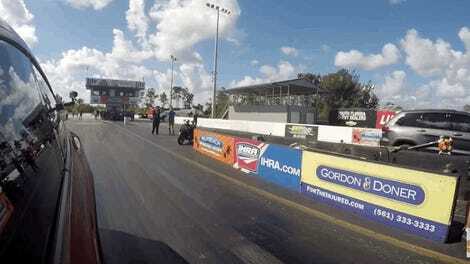 It’s a test the 707-horsepower Jeep wins. Just for some reason I can’t work out, the competition is a 1991 TVR and an Audi Quattro. The Hellcat-powered SUV successfully manages to dust the two other vehicles and also remind you that you’d rather own one of them instead. 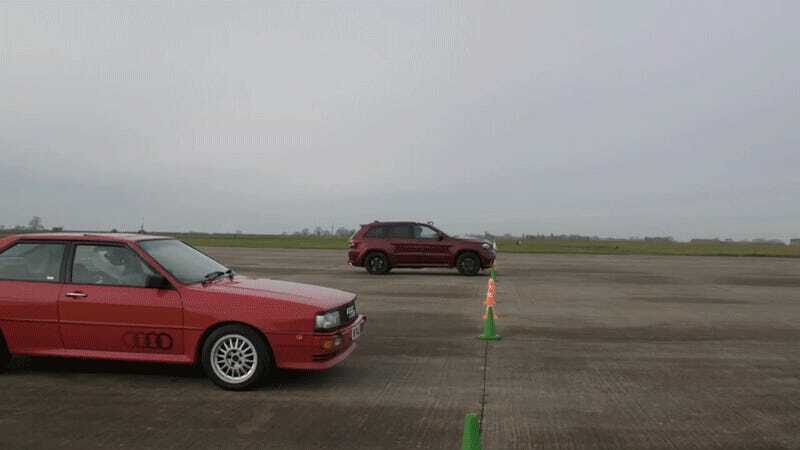 The Jeep is a real sledgehammer of a car the way it sinks all four tires into the ground and run this quarter mile of an airstrip in 11.48 seconds at 119 mph, as Carscoops reports. The TVR does it in 13.81, the four-wheel-drive Quattro in 18.48. Jeep didn’t give trap speeds for the failing vehicles. All of the cars seem to some degree overpowered, the Audi’s 220 being more than enough for gravel and ice, the TVR’s 340 being more than enough for its body-on-frame design. These are painfully desirable cars, even knowing that they could fall apart at any moment. Meanwhile the Jeep seems, uh, big. That’s fun, I guess. What About A GM EV1 Next?